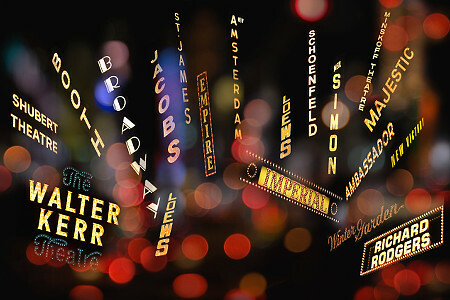 The lights on Broadway were glowing a bit brighter this week after its 2010 numbers were announced. Bigger revenues. Higher attendance. The Great White Way must be doing something right. The top money makers have been around a long, long time. Wicked. The Lion King. Jersey Boys. The Phantom of the Holy-Crap-People-Are-Still-Going-To-See-The Opera. But I sometimes feel like the audiences visiting New York City exhibit the same caution towards their theater ticket purchase as they do what street to walk down in Times Square. Always taking the safe route, the tried and true, and — more and more so — Disney-approved. So by the time the Tony Awards roll around in June, many of the shows nominated will have already closed due to low audience turnout. Case in point: Bloody Bloody Andrew Jackson. Bloody was a smash hit Off-Broadway and made the leap to the Great White Way earlier this year. Critics loved it. Audiences? They went to Wicked and Lion King, which I saw in previews in 1994. That’s 1994. Come on, people. You’ve seen the movie. You probably own the movie. Your kid lost their stuffed Simba before they started college. You’re in New York City.